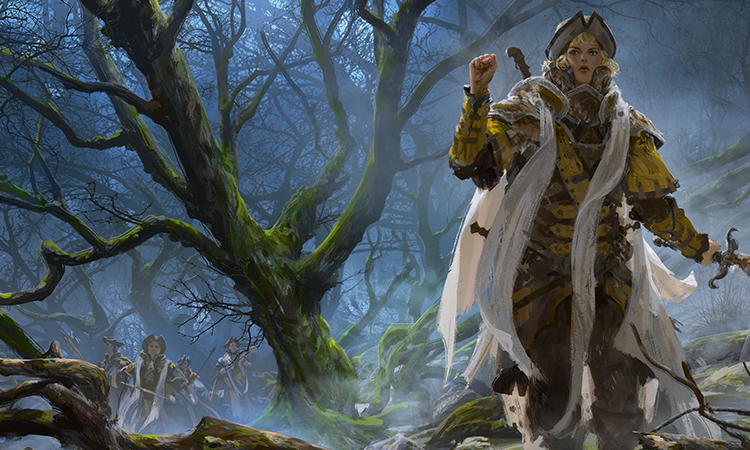 This week we’re focusing on one thing: decklists. Shadows Over Innistrad is legal on MTGO, so that means Jace, Unraveler of Secrets everywhere! No? Well, we still have the one-two punch of Eldrazi bannings and Ancestral Vision/Sword of the Meek’s unbanning to shake things up. What does this new Modern look like? How can we gain an edge in the next big event? What the hell am I going to play tomorrow?! Let’s begin. Modern League finishes have to be taken with a grain of salt, as in my experience they are equal to or possibly slightly more competitive than the average FNM. The FNM crowd at my local shops over the years have ranged from Mindshrieker casual all the way up to Tier 1 Shards of Alara Jund, and everywhere in between, but I’m calling the baseline FNM difficulty somewhere in the middle. A few budget decks, roughly 50% “solid” lists with spicy/questionable changes, and a top tier of grinders/scum/sharks/insert whatever name you choose here. It is quite easy to 5-0 a Modern League while completely dodging anything resembling a fair fight, and it is just as lucky (in my extensive experience) to run up against five tough opponents. Thus, my philosophy is to approach 5-0 Modern League lists cautiously; recognize them for their achievement, but be quick to throw them out if they show any possibility to disappoint. Kind of like my ex-girlfriend. With Magic, just like relationships, we must be willing and able to spot the warning signs of a bad egg early on, lest we risk finding ourselves three years devoted to a Demon Spawn of the Underworld. Look, I’m not going to say I told you so, but this deck is legit. Thalia’s Lieutenant is not just a “worse” Champion of the Parish, but rather Mayor of Avabruck with Champion’s ability tacked on for free. Sure, we don’t get to flip, but Mayor was often never flipping unless we were out of cards, at which point either opponent is dead or we are. Turn 2: Kytheon, Hero of Akros, Monastery Swiftspear, attack for 4. Turn 3: Thalia’s Lieutenant, dash Lightning Berserker, attack for 12, flip Kytheon. Turn 4+: Spam Lightning Berserker to rebuy Champion/Lieutenant triggers as needed. Similarly, we can dash Lightning Berserker and then cast Thalia’s Lieutenant for an extra point of damage that turn, bringing us to that sweet seventeen. If our opponent cracked a fetch for Steam Vents to Ancestral Vision turn one, it’s all over. Small decisions like this one can really influence the match result, where many games will be decided by those crucial last few points before our opponent stabilizes. If we’re focused primarily on value, casting Thalia’s Lieutenant early, before haste creatures, will give us a larger threat to survive potential Lightning Bolt/Anger of the Gods shenanigans, but we won’t be able to use that damage that turn. Only in the case of dash are we ever presented with the choice of “losing a counter” as any other situation will result in a counter on the board, whether it’s on Thalia’s Lieutenant or some other creature. Use your best Bernie Sanders spread-the-wealth judgment in these situations. My experience with this archetype has taught me that turn three is by far the hardest. Before we were often split between Mayor of Avabruck to push our opponent into playing at sorcery speed, Thalia, Guardian of Thraben to slow down their interaction/impending sweeper, or double-spell some two-drop and one-drop combination. Burning-Tree Emissary always comes down turn two if possible, as we’d like to save extra one-drops to fill in our curve on later turns. Now we have Thalia’s Lieutenant to add to the mix. Her anthem pushes us to hold onto her as late as possible, but casting her early lets us double/triple-dip on the power boost as we are curving out. It might be enticing to wait for a full board and drop Thalia’s Lieutenant at the top of the curve, but if our creatures are sticking on board we’re generally winning anyways. Thalia’s Lieutenant gives the deck a level of play that it definitely didn’t have access to previously. Here we have a UW Gifts Tron deck incorporating the Thopter/Sword combo into its usual repertoire of tricks. Academy Ruins is present to assemble the combo no matter how our opponent splits our Gifts, and we have the usual Elesh Norn/Iona/Unburial Rites and four-different-sweeper package as well to do fun things. The best part about this list for me is the two copies of Thought-Knot Seer, which can steal a piece of interaction, give us some information, and play great offense or defense if needed. Adding another dimension of attack to a list like this will keep our opponents honest and works to make cards like Dispel or Negate awkward against us where they are usually quite good. This list is naturally suited to prey on Ancestral Vision control lists, as Academy Ruins and a playset each of Remand/Gifts Ungiven/Thirst for Knowledge provide a lot of value going late. The sideboard gives us access to a full playset of Thought-Knot Seer, which can tag in to almost any matchup (though it’s definitely at its best in reactive matchups). Thopter/Sword gives this list a better maindeck angle of survival against aggressive decks than “sweeper and pray” and could result in this archetype being a dominant force moving forward. Blood Moon and graveyard hate remain this deck’s weaknesses, however, and I would be interested in seeing the tempo element explored a little further should the deck start attracting hate. This type of pure control deck always seemed to get pushed out of the metagame by Amulet Bloom specifically, but more broadly by the pure diversity of powerful options available in Modern. The necessity to devote precious sideboard slots and situational counterspells to fight a wide range of powerful threats has always proved too much for Jeskai pilots not named Shaun McLaren to handle. Without a Counterspell-type counterspell or Ponder-type cantrip, control as an archetype lacked the “punch” necessary to close out a game with sheer power, relying on poor draws or opponent stumbles to get there in most matches. Ancestral Vision promises to change all that, and if control is to be a force in this new Modern, I expect it will look something like this. As far as “pure control” goes, this is as good as it gets. No win conditions, not even an Ajani Vengeant to make our opponent quit. We’re winning with Celestial Colonnade or not at all. Every non-spell either answers threats or draws cards, but my god are we weak to Ghost Quarter and/or Blood Moon. Only one copy of Wear // Tear in the 75 as an answer to a Blood Moon on the table?! You might think a billion counterspells means it is never resolving, but I’ve been the victim of more than one endstep Boil, untap into Thoughtseize/Blood Moon in the past, and it does not feel good. Don’t get me wrong, I love this list, but we have to have something to do should Colonnade not be enough. Gideon Jura, Restoration Angel—I don’t care, just have some way to win the game (on time, preferably). No, no, no, no, no. This is not what I meant. As a preface, I have to say that I’m not picking on David or diminishing his experience—he placed Sixth in Columbus last weekend while I sat on my couch with Cheetoh crumbs on my chest. Seriously, congratulations to him and his achievement, but I respectfully don’t like this list at all, and I think it’s a great case study to demonstrate some classic control-building pitfalls (in my opinion). Let me explain. To begin, when building and analyzing control decks I start with the endgame. What are we building to? Especially in Modern, where the tools available to us are countless in number, it’s important to have a cohesive gameplan. Are we winning through inevitability? Are we turning the corner at some point? What matchups are we biasing towards in the maindeck? Answering these questions from a top-down standpoint can make secondary and tertiary decisions much easier, such as our opinions on Mana Leak vs. Remand, Electrolyze vs. Tribute to Hunger, Tasigur, the Golden Fang vs. Damnation, etc. For example, a planeswalker-centric strategy can take advantage of sweepers as a prominent deckbuilding characteristic, pushing us away from three-mana two-for-one’s like Electrolyze and other four-drops like Cryptic Command. On the other hand, a Wall of Omens/Restoration Angel/Snapcaster Mage build heavily incentivizes cheap interaction and makes sweepers an absolute last resort, for a few reasons. One, a focus on one- and two-drop interaction lets us double-spell earlier, and more quickly leverage resources gained from Wall of Omens draws. Two, we’ll be able to more effectively gain value from Restoration Angel earlier in the game if we’re blinking Snapcaster Mage to flash back Lightning Bolt and Dispel, instead of Electrolyze or Cryptic Command. In the list above we have a few competing forces at play that (admittedly) provide alternate angles of attack, but ultimately work against each other. Starting from the top, we have Sphinx’s Revelation, Crucible of Worlds, and Gideon Jura, two lategame spells that are useless in the midgame and can be deadly in our opening hand. Our value slots consist of more expensive/situational choices: Vendilion Clique, Ajani Vengeant, and Cryptic Command. On top of this, we have the Thopter/Sword combo (taking up a whole five slots) with removal/card draw filling out the remainder of the maindeck. All of these choices are fine choices for a control deck, but not all together. If Sphinx’s Revelation/Gideon Jura is our lategame, we don’t need to dedicate five slots to the Thopter/Sword combo, and vice versa. Engineered Explosives as a maindeck option in UW Tron could be argued, but here it’s just a maindeck insurance policy against Infect and Affinity, who we would be beating anyway were our deck more streamlined. Sure, it’s got some nice synergy with Academy Ruins, but that’s a one-of that we’re not tutoring for, which means if we’re activating Ruins we’ve made it to the lategame and have plenty of other ways to win. Crucible of Worlds is just getting extra use out of our fetchlands and Ghost Quarters, or rebuying Academy Ruins and Celestial Colonnade should our opponent be dead-set on destroying them, which isn’t even game-breaking as we have a million other ways to win. I would play literal Mana Tithe over this card here. The main issue I have with this list is that it completely misses the mark on utilizing Ancestral Vision as a tool to win the game. Once Ancestral Vision is on suspend, the onus is on our opponent to kill us before it resolves, as the expectation is that three free cards for the control deck is “bad news.” Except here, our three cards are as dissociated as they could possibly be. By turn five, you can infer that we have four/five lands on the battlefield, and have seen twelve cards on the draw, eleven on the play. This means of our 48/49 cards left in library, 19 (37%) are lands, 17 (33%) are duds (lategame cards, counterspells, combo pieces, other Visions) and 15 (30%) are solid draws capable of interaction. This means our Ancestral Vision‘s draw is giving us two duds an overwhelming majority of the time, and three duds often. When our back is against the wall facing down a Tarmogoyf and Dark Confidant, or our opponent has Scapeshift in hand and we need two pieces of interaction to beat him, drawing Land, Thopter Foundry, Spell Snare is not going to feel good. All of these cards can exist in combination with each other, just not all at the same time. At the very least, the Sword/Foundry combo could be cut for five more pieces of interaction, or if we’re looking to keep the combo we could cut the top end and the Engineered Explosives and leave a singleton Sphinx’s Revelation for some diversity. This list seems to be in prime position to destroy aggressive decks, but absolutely falls apart against Grishoalbrand, Scapeshift, or, you know, the very rare play of Thoughtseize into Tarmogoyf. Only a couple weeks into this new Modern format we’re already seeing some technology start to take shape. A few fresh archetypes are lurking at the periphery, but format stalwarts like Zoo, Affinity, and Burn continue to put up strong numbers. Scapeshift seems to have benefited the most from Eldrazi’s absence, and Jeskai Control decks of all types have been taking advantage of Ancestral Vision the most (so far). I’m steadily tuning my Grixis Control into the monster I know it can be, and this format looks to be forgiving enough that almost any archetype can put up modest results. Hopefully this article has given you a look into my process of decklist analysis, or at the very least given you something interesting to try out this weekend! Let me know what you think in the comments and I’ll see you guys next week! Interesting article, Trevor. Glad to see a home for Thalia’s Lieutenant (that became an instant pet card of mine as soon as it was spoiled), and it’s interesting to see that control is back (although I agree with you in that neither of the lists you found were particularly impressive). One question that I think has to be asked is whether Jeskai can make use of the Goblin Dark-Dwellers + Ancestral Vision synergy you featured in your Grixis preview last week. Do you think it’s worth a try? I’m leaning that way. I currently like Jeskai as an archetype better than Grixis in this metagame, but this is due to Path to Exile being miles better than Terminate in this over-saturated aggressive context. Goblin Dark-Dwellers really doesn’t fit into that type of strategy (eight one-drop removal spells) which is what I’m going after if I’m pursuing Jeskai. You can definitely play Goblin-Dark Dwellers alongside these spells, I’ve just found that having a Kolaghan’s Command or something in the graveyard as a “fail-state” for when we haven’t found Ancestral Vision to give us options. Jeskai tends to be pretty creature light, but maybe the creature heavy versions that play Restoration Angel wouldn’t mind playing one of him. Really, in that slot Sphinx’s Revelation might play nicer with the rest of your deck, but they’re close enough that I think you’d be fine going either way. Try it out and tell me what you think!